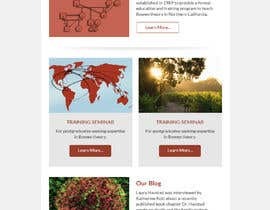 I’m looking for a simple looking modern email template with our logo and a little color from our website that will be used for periodic announcements for our organization. 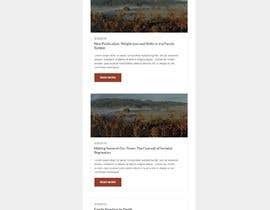 It should be a white background able to allow one to three items of text per post and allow us to add images specific to each mailing. It should be centered on the page of all the platforms that it will be viewed on. HI, Please provide feedback on #8,#9 . I am sure you will love these.Thank you. Hello CH, Please do check my entry #6 and share the feedback. Any Changes can be made and it is fully email compatible. 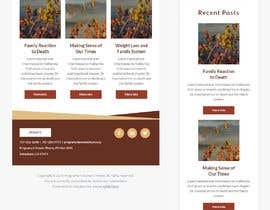 Awaiting for your feedback. Hello,I'm working,Please wait my entry. 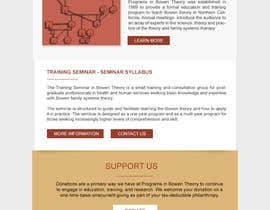 The mobile responsive email template needs to use the colors and have the feeling of www.programsinbowentheory.org. It can be a simple design but refer to the website for colors and our organizations logo.